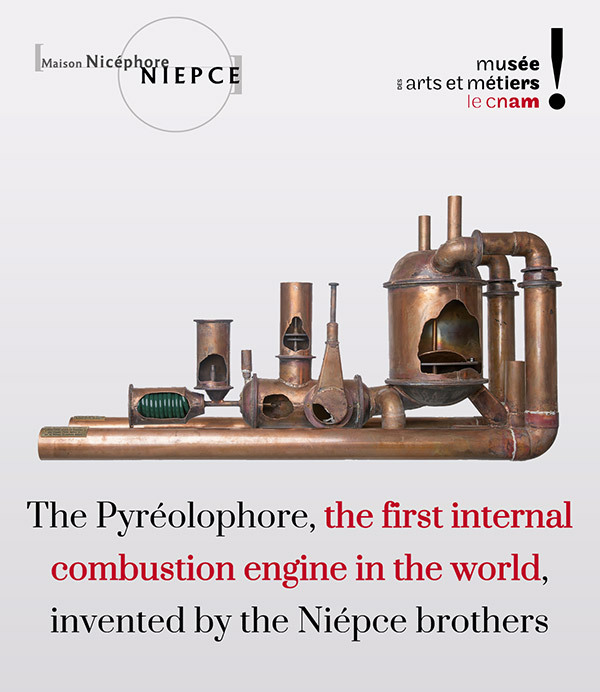 The Niépce House and Spéos Photography school rectify the history of science, after many years of research: the first internal combustion engine is French! Niépce, Another revolution in the shadow of the great Carnot – Essay of a reasoned bibliography of the first internal combustion engine (1806). The Pyréolophore. The rehabilitation of the Pyréolophore was carried out thanks to the Nicéphore Niépce House, with the financing of Spéos photography school, as well as the support of Olivier Pironneau from the Académie des Sciences and Yves Winkin, director of Le Musée des Arts et Métiers. > Join the event on Facebook!